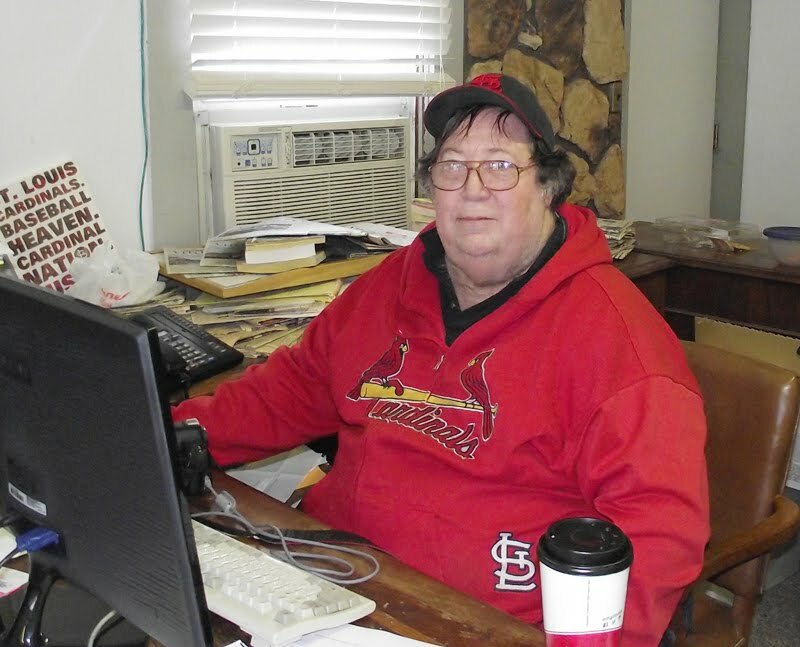 The July 17, 2014 issue of the Times-Tribune is off the presses and on its way to subscribers and newsstands! Here's a sneak peek. 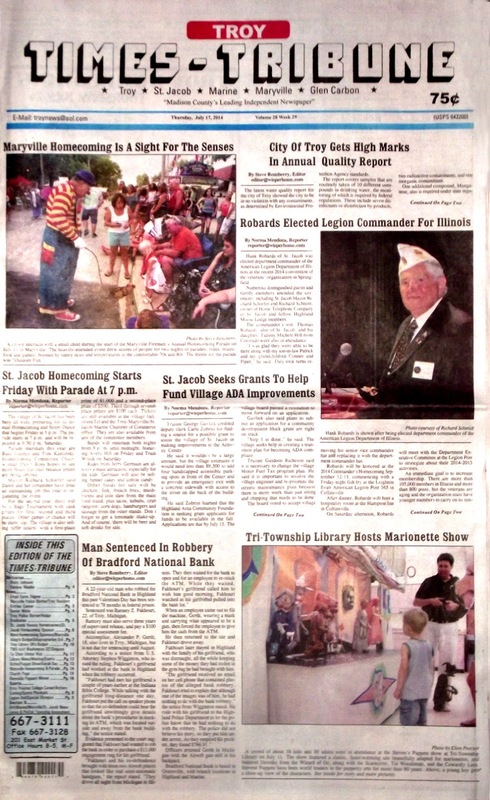 Some of the headlines in this issue: Troy Water Quality Report Gets High Marks, Robards Elected Commander of American Legion of Illinois, St. Jacob Homecoming Starts Friday, Man Sentenced In Bank Robbery, Tri-Township Library Hosts Marionette Show, St. Jacob Seeks Grants To Fund ADA Improvements, Troy Jaycees Donate to Friedens Cemetery, Maryville Adopts Appropriations Ordinance, American Legion Team Takes on Collinsville; plus our usual police blotters, a new Recipe Corner feature, a full page of photos spotlighting the Maryville Firemen's Homecoming, a column by our editor on changes to the adoption law, and a whole lot more! We have obituaries for Ricky Johnson and Darlene Mueller.